Most electronic instruments don't need tuning, but occasionally they need maintenance and repairs. Sticking or sluggish keys, power on/off failures, and broken accessory jacks are popular problems. 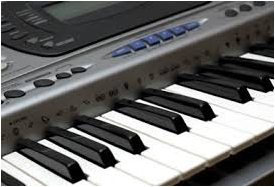 Although I am an acoustic piano technician, I also service popular models of electronic keyboards and digital pianos such as Yamaha, Casio, Kawai, and Korg. Most repairs must be done in my shop. You can drop off your piano, or I can arrange pick-up and delivery.